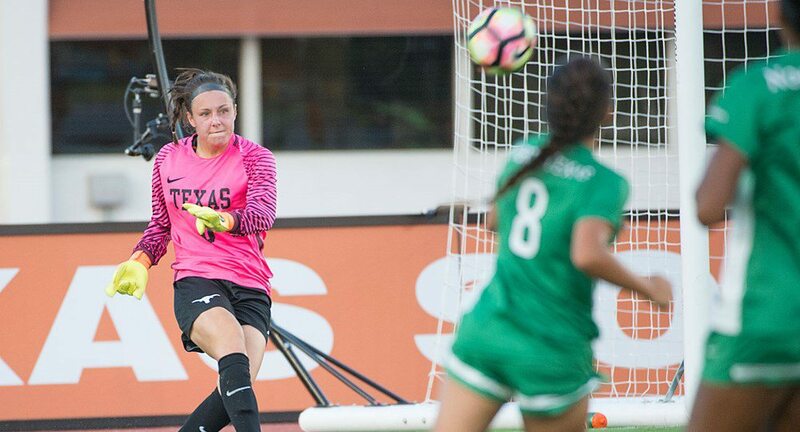 Senior goalkeeper Paige Brown had four saves in the Texas soccer team's 1-0 home loss to Kansas (photo courtesy of texassports.com). AUSTIN, Texas — The Texas soccer team created chances Sunday but was unable to convert any, falling to Kansas, 1-0, at Mike A. Myers Stadium. The Longhorns (6-6-1 overall, 0-3-1 against Big 12 opponents) now have lost three straight games, and are winless in their last four outings. Kansas improved to 8-3-2 overall and 3-0-0 against Big 12 teams.